These Queso Bacon Burgers are loaded with bacon and two kinds of peppers sandwiched between a layer of avocado salsa on the bottom and a creamy, spciy queso sauce on top! It’s become a family favorite that my kids ask me to make again and again. 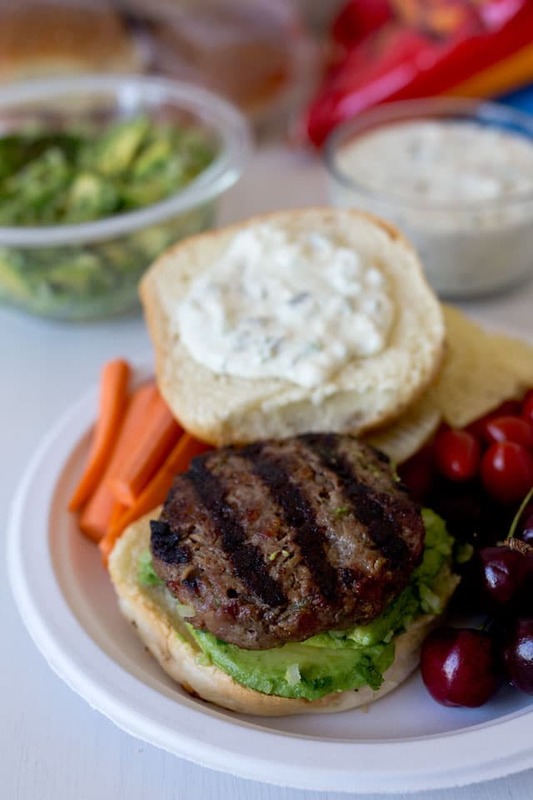 Since it’s barbecue season, I thought it was the perfect time to update some of my burger recipe posts with better photos and share them with my readers who may have missed them the first time around. Crystal, Mrs. Happy Homemaker, was my secret blogger for the Secret Recipe Club. We choose any recipe from the assigned blog to bake/cook from, and blog about the recipe keeping the blogger a secret until posting day. As soon as I saw this burger I had to give it a try. This is an awesome burger. In fact, Crystal describes this burger as “awesomer.” I was having family over for a BBQ/birthday party, and I decide they deserved awesomer burgers. Burgers made with bacon and roasted peppers, dripping with a queso cheese sauce and loaded with an avocado salsa. I’m so glad I did. It’s a fantastic, juicy, messy, burger, loaded with great Mexican flavors and it got rave reviews. The original recipe called for 6 jalapenos but I thought that was too hot for our crowd, so I used mostly Anaheim peppers. I made 16 1/3 lb. 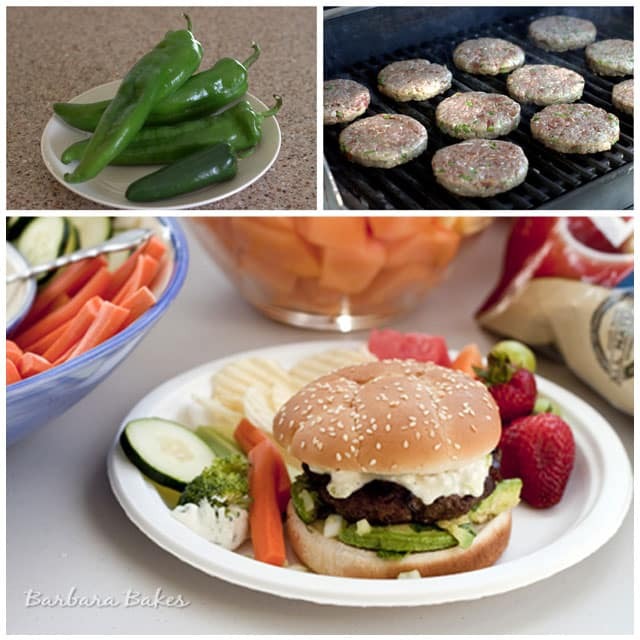 burgers, so if you’re not feeding a crowd, you’ll may want to downsize the recipe. Crystal has lots of awesome recipes on her site, like Mini Oreo Cheesecakes and the Best Ever Coconut Custard Pie, so be sure and stop by. Coat Anaheim and jalapeno peppers with oil. Roast peppers over a gas flame or in the oven until well charred. Transfer to a bowl, cover, & let cool slightly. Remove & discard the skin, stem, & seeds and finely chop the chiles. Fry the bacon until crisp. Reserve 1 tablespoon of bacon fat. In a large bowl, combine the reserved bacon fat, half of the chopped chiles, and crumbled bacon. Then mix in the ground beef. Form into 16 patties. Season with salt & pepper. In a medium bowl, combine the crumbled queso fresco, mayo, buttermilk, 1 tablespoon of olive oil, and the remaining chiles. Season with salt & pepper - refrigerate. In another bowl, toss together the sliced avocados, onion, cilantro, lemon juice, and remaining tablespoon of olive oil. Set aside. Grill the burgers, turning once, for about 10 minutes for medium rare - longer if you like them more well done. Just before the burgers are done, toast the buns on the grill (or skillet) for about a minute. 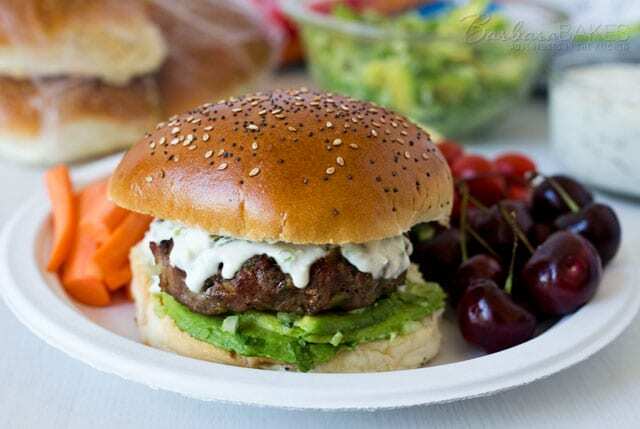 Place some avocado salsa on each bun bottom, top with a burger and queso fresco dressing and finish with the top half of the bun.